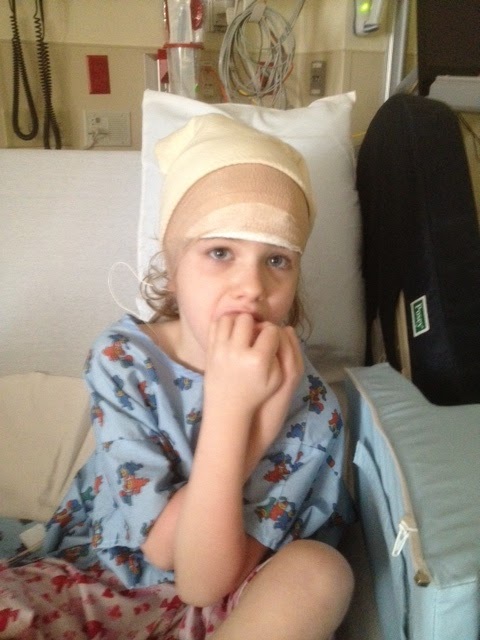 This past week we got a last minute call from the Children's hospital to get Abby in for a 48 hour EEG the next am. She was a trooper when they started. 8 pullouts of her cap,bandages,and wires we had to quadruple wrap her. After the hour long smelly removal of the wires. She was done. So, I have thought for days how I would word this blog. I want to be very considerate to other families living with Rett Syndrome. Although we experience many many of the same things,Rett Syndrome is not the same for everyone and neither is the outcome. So please take no offense because it is not my intention. We got the answers we needed for our Abby and I feel good about it and wanted to share what we found out with you. Abby suffers from what is referred to as Parkinsonian Tremors and Rett Episodes and what we thought were seizures. Daily. When she wakes up in the morning she goes rigid and shakes. Her body trembles like she is being electrocuted. She looks confused and her eyes will open and close and roll. This usually lasts several minutes. When Abby wakes up in school or on the bus the same thing happens except it is slightly different. She looks terrified. Her eyes dart back and forth and the tremors seem to come in bursts which have been misinterpreted as cluster seizures.Sometimes she will wake up shaking and burst into maniacal laughter. When Abby is startled awake at night, either by a cough or a door slam or a noise her little body completely locks up. Legs go straight. Arms cross and lock to her chest. She hyperventilates and shakes and sometimes cries out. Abby had 3 different of the above episodes while hooked up and on video. Each episode was also witnessed by at least 2 nurses and the middle one was physically witnessed by the Neurologist. The Neurologist came in in mid morning and told me he had good news. Abby wasn't having seizures. She was having tremors and Rettpisodes as they call them. As a Rett parent I have always felt that was a cop out for,"We don't have a clue." Before I could launch into him he calmly leaned up against the wall and asked me to hear him out. We talked for a while and this is the theory we...mostly him have come up with. This is my interpretation of the conversation. Dr-MECP2 is the gene that makes the protein that makes your Neurons fire correct? 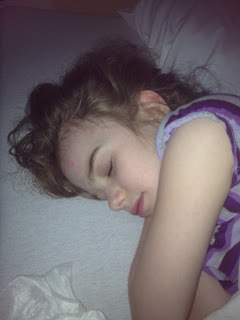 Dr-When our girls are asleep it almost seems as if they don't have Rett Syndrome. Everything is at rest. No breath holding, no hand wringing,head banging,repetitive movements. Correct? Dr-OK look at it like this. When the brain starts up or wakes up its like a spark plug firing or like a motorcycle being kickstarted and everything turns on kind of all at once. Are you following me? Dr-Her brain doesn't work like ours. We wake up kinda drowsy. We blink and stretch. They are getting brain fires all at once neurons trying to fire, criss crossing,some hitting, most not. This is what makes the tremors happen. This is how the muscles and body reacts. Does this make sense? Me- Yes. But she also shakes when she is excited, happy,upset,hurt,startled,anxious. Dr- Do you suppose that your normal brain may fire differently when you are excited, happy,upset,hurt,startled,anxious? Dr-All of those things. All those emotions, situations make her brain fire differently also. It just manifests itself differently than it does in us. It affects her differently because her brain and her body work differently. That's why we also refer to it as a movement disorder. Her brain can't get her body to work in the way she wants it to. IE-Tremors and Rett Episodes. Me-Looking at her bursting into tears. Me- I get it. I get it. 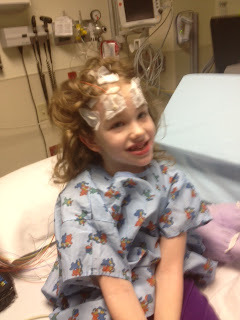 Dr- We are not going to say she has never had a seizure or she never will but she isn't with what we are seeing here. I hope this gives you some comfort and understanding. Her brain is intact. Her Neurons are not firing to her body, her muscles correctly. That is tremor. That is a Rett episode. I felt I needed to share it for those of you who have kids with Rett dealing with the same thing. I know that there are many many kiddos more worse off than my Abby. If only to help educate those dealing with our situation. He explained it in a way no one ever has before and now I get it. I get what is happening to my girl. Finally. Thanks a ton for posting this because you have explained exactly what we feel on a daily basis. When we had an EEG yes she does have mild seizures but the tepee more after waking up was the reason we got the EEG done. Your neuro explained it well and Our thanks to him also. 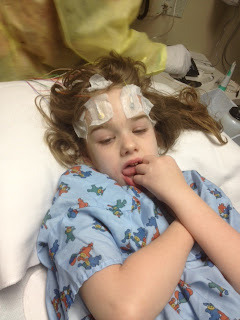 This has been a huge question of mine with Leah for the past year - Rett episodes or seizures. She does do a few different things, but in the morning, it is often just as you described here. What do the neurologists say to do in this situation? If you have an answer and have some time to send it, I'd love it. Thank you! This explains so much. These are happening to my 19 year old daughter Brianna. Did the doctor direct you towards any treatment to stop the tremors? We just got done with the sleep study with similar feedback. They said she could be in a degenerative state. That its part of Rett Syndrome. What is the next step? Where do we go from here? With all my love. Thank you Anna.